Summer of Hoopla Happens Here! Negotiated a lower rental rate for the studio and booked it for the entire summer!!!!! 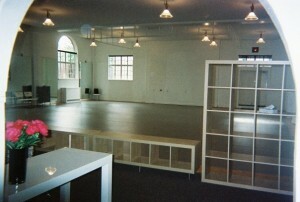 This beautiful studio is location on N. Shaver @ N. Mississippi. Open and bright, marley floor, mirrored wall, view of garden through large windows, lots of natural light. Schedule will be posted soon. Follow My Bliss & Pay the Bills? Over-the-hump-day Hoopling with the LooLoo’s! Episode 12 – Karma La’Nay: Performing, Costumes, Circles and Grimm. Oh My! More Podcasts On The Way! Episode 9 – Beth Lavinder!